All this week here at Daily Edventures, we’ll be highlighting the important topic of accessibility, and Lowell’s story is the perfect way to start the conversation. Here, she shares her successful experience, and provides inspiration for any teacher struggling to ensure that all students, regardless of ability or physical location, get the education they deserve. I teach the first ever distance high school mathematics to blind and visually impaired students using Microsoft Lync. Mathematics is a difficult subject for these students because they need very rich and detailed instruction, specialized materials, and equipment that are not always available within a district. We bridge the gap by bringing our class to the student. The Washington State School for the Blind is located 170 miles from where I live; most students attend class from the school, and others join in from their home school. Using Microsoft Lync for distance education has opened up many opportunities to reach students wherever they are. We have been able to reach students in an unprecedented way, giving access to classes that put them on par with their sighted peers. Students can attend class even when they are unable to be at school, preventing them from falling behind in their classes and staying connected with their classmates. Mathematics is a challenging subject for blind and visually impaired (BVI) students because it requires specialized instruction to meet their unique accessibility needs. Access to specialized instruction is extremely limited due primarily to a shortage of Teachers of the Visually Impaired (TVI) qualified to teach mathematics. At the Washington State School for the Blind, we have developed a unique and effective program built on Microsoft Lync that provides specialized mathematics instruction to BVI students anywhere. Our mathematics TVI uses video conferencing to instruct her classes to any student with a Lync client and an internet connection. Specialized instruction is possible because Lync works seamlessly with assistive technologies such as Braille Displays and screen readers; which enables lecture, whiteboard, and other class materials to be delivered in accessible formats (e.g. Braille, large print, and/or audio). For 1:1 instruction, the students can easily share their work, ask for help, or submit classwork to the teacher using desktop sharing, instant messaging, and file transfer. My classes are based on Microsoft Lync; we use desktop sharing, instant messaging, file transfer and the recording features of Lync. Lessons are recorded and put on either SkyDrive or a SharePoint site which the students can access on demand. Braille users have a Braille display and a screen reading program, and low-vision students use screen magnification and accessibility tools for their individual needs. I can see each student’s desktop and what they are working on which allows me to virtually walk around the classroom and assist students. I write on a whiteboard and using a document camera, and the low-vision students can see what I am writing up close on the monitor on their desk. For some students this is the first time they have been able to see the whiteboard in a useable way. Being able to reach students. Blind and visually impaired students are a very small population and they are located in many different areas and schools. Not all students have access to materials and qualified teachers of the visually impaired. We want to give all students access to classes that prepare them for college and/or a career and because they can’t all come to our school, we bring the school to them. Supporting and encouraging 21st century learning. Recognizing and promoting innovative teaching. Creativity is alive and well in education and this can be fostered by recognizing teachers and inspiring more teachers to be innovative and teach outside the box. I think this will help change public perception of our education system and help bring more resources and support for education. Encouragement. Teachers need to be encouraged to be innovative from the moment they decide to become a teacher with continued support once they enter the classroom. Resources, tools and opportunities need to be available to create a 21st learning atmosphere that naturally promotes innovation. Get to know your students. If you know your students, you will know how to reach them. Listen to them and they will listen to you. Including all the technology that these “digital natives” use every day in their education is helping students bridge the traditional classroom with the high-tech world. I would give every child access to teachers who are innovative, creative, and dedicated. A dedicated teacher will ensure that the students get the tools they need to be successful. These teachers leave a lasting impact on students that a single tool or technology can’t. The innovative teacher is the delivery system that brings tools such as technology, differentiated learning and real world experience that every child can benefit from. Person who inspires me most: My dad. He is always researching and learning and excited to know more than he did the day before. Favorite childhood memory: Sailing with my family in the San Juan Islands, Washington, watching porpoise and whales swim by. Next travel destination (work or pleasure): Prague, Czech Republic. 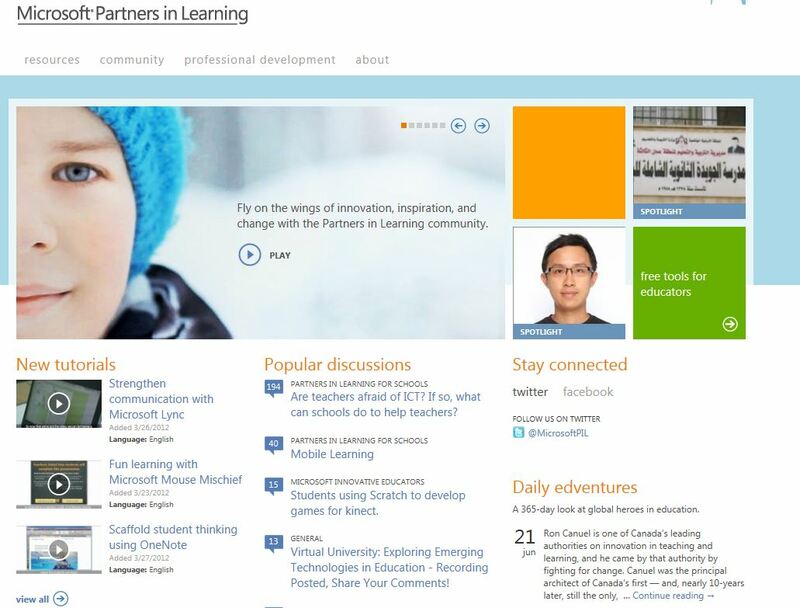 Microsoft Partners in Learning Global Forum. When was the last time you laughed? Why? Five minutes ago. Watching my daughters make their baby brother laugh. 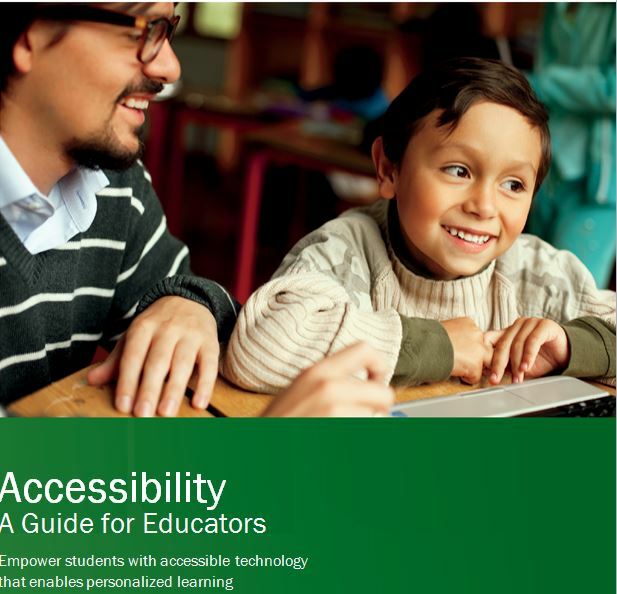 This entry was posted in Accessibility, People and tagged Accessibility in education, blind and visually impaired students, Microsoft Lync, Microsoft Partners in Learning, Washigton State School for the Blind. Bookmark the permalink.